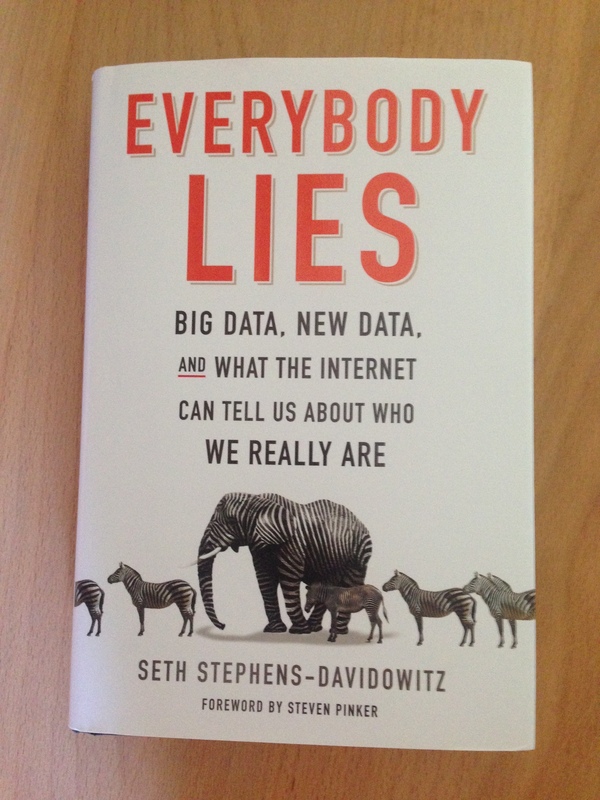 Our book of the month is “Everybody Lies: Big Data, New Data, and What the Internet Can Tell Us About Who We Really Are” by @Seth Stephens-Davidowitz. 1. Google search data is valuable because it is new, abundant, granular and honest. 2. We do not always understand what it means. 3. It does not matter. If you are concerned with making good predictions, causation is overvalued. Instead, find a predictor that works and stick to it. If you cannot explain it, so be it. Seth takes examples outside the Internet world to illustrate this rationale. For instance, we learn that the best predictor of a racehorse performance is the size of the heart, specifically, the size of the left ventricle. Why? No idea. Google data provide plenty of opportunity for good predictions, not always with a clear causation. Which begs the question: are we in the early days of big data or in the early days of social sciences?